So sugary sweet, super pink and a unicorn! This lunch bag is spot on. So pink and so girly and yet so cool. This adorable lunch bag is sure to be a hit. The fun and playful print is just so beautiful, and with the addition of rainbow,s clouds, stars and little characters it certainly doesn't disappoint. Sure to be a massive hit with both adults and children! 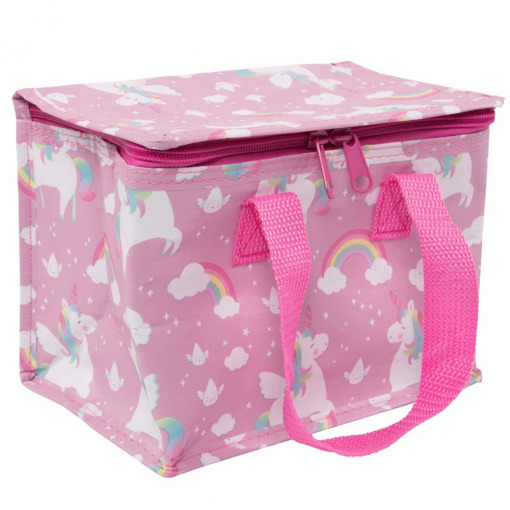 This lunch bag will easily carry everything you need for lunch, plus it is nice and easy to wipe down and keep clean.The rainbow unicorn lunch bag comes complete with 3 sided zip making it nice and easy for children to open and close, plus the woven handles make it nice and easy to carry when full. 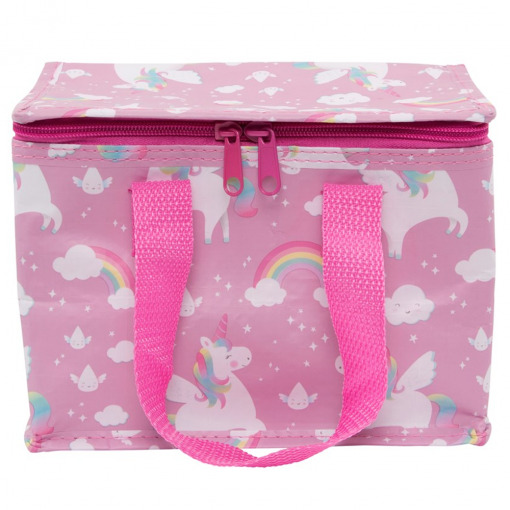 Sure to cheer you up every lunchtime, this unicorn lunch bag is an absolute beauty!